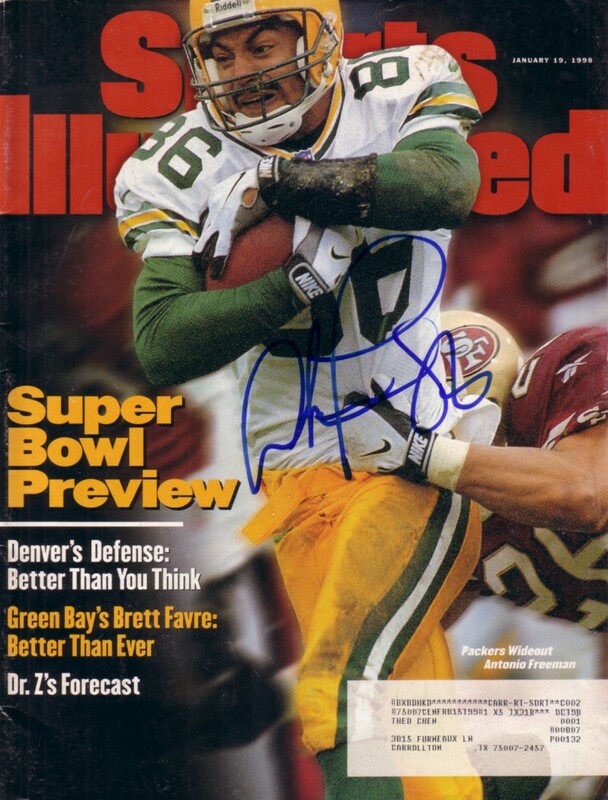 Complete 1998 Sports Illustrated magazine autographed by former Green Bay Packers superstar receiver Antonio Freeman. ONLY ONE AVAILABLE FOR SALE. With certificate of authenticity from AutographsForSale.com.